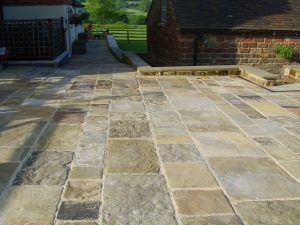 Indian Stone was used to transform a dilapidated back yard to create a lovely, clean and bright patio area. 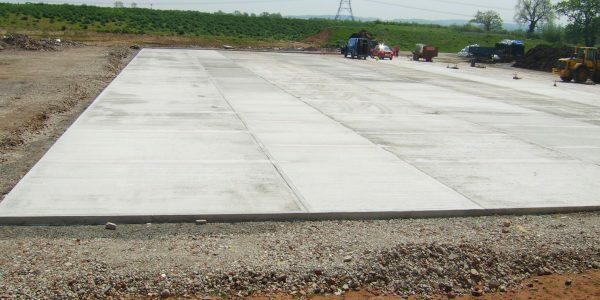 Aco drains were incorporated to take any surface rain water away. Once the old concrete was removed, levels were made up with well compacted road stone. 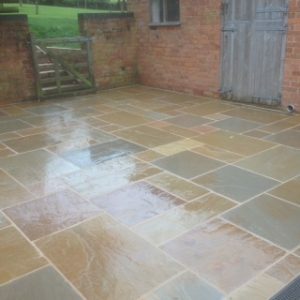 The surface was prepared before the Indian stone was laid onto a mortar screed. 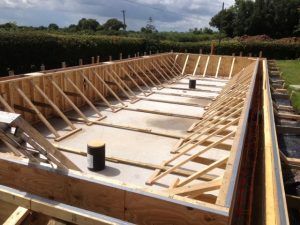 The joints were then pointed with a non cracking material. 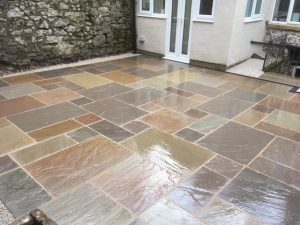 See the before and after completion images of this revitalised Indian Stone Court Yard Matlock…….another challenging project for Alan Bailey Groundworks and another very Happy Customer! 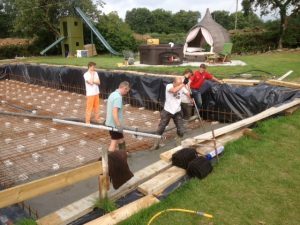 Within the sides of the shuttering more steel reinforced mesh was used to to give the concrete structure more strength. 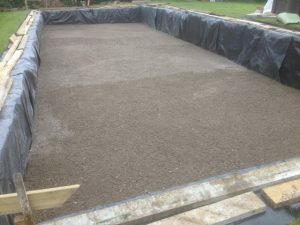 There are pressures from the water in the pool and the ground pushing inwards. 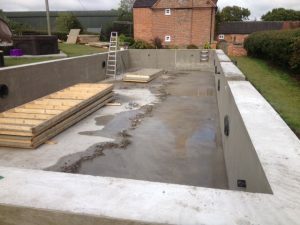 Concrete was then pumped within the shuttering to form the sides of the pool. 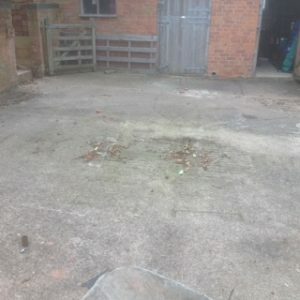 See the next post……………on Facebook or this website! 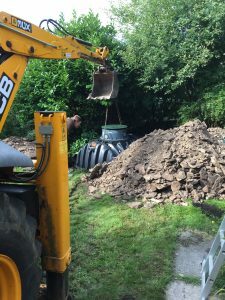 A ‘Klargester ‘ Septic Tank installation in the Staffordshire Moorlands area. 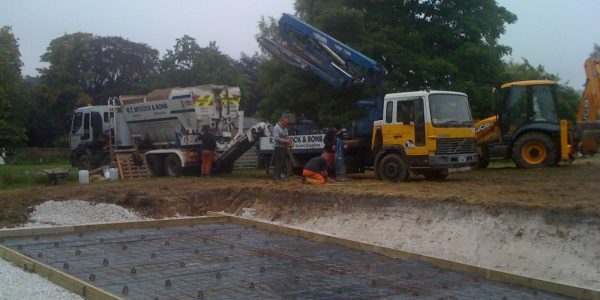 This is connected to the soakaway system. 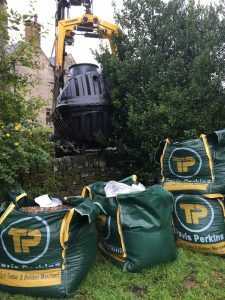 Various sizes of septic tank are available to suit the size of the property. 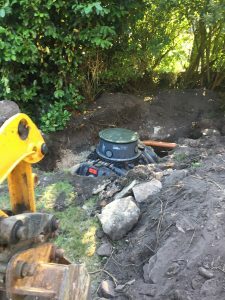 This is a conventional septic tank which is connected to a ‘soakaway’. 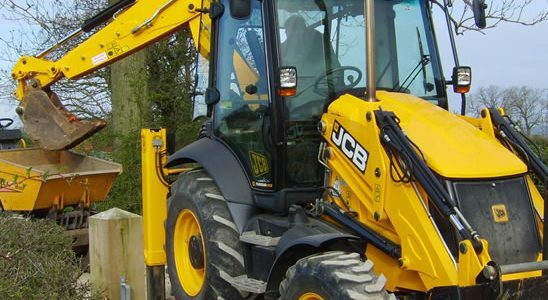 The tank will require emptying periodically by an approved environmental service contractor. 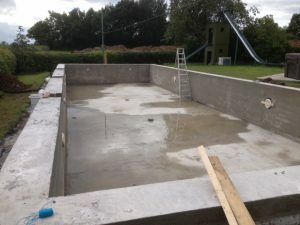 The next phase of the construction of the swimming pool required Specialist Concrete Installation. 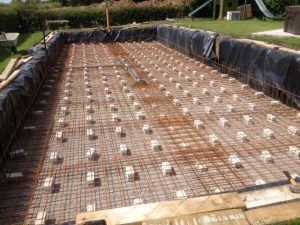 This project particularly, required careful planning in the construction, due to the pressure the water would create once filled with water. 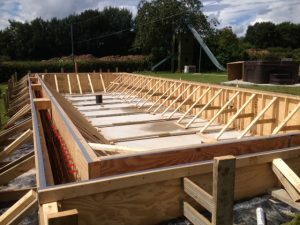 For this reason reinforced mesh was laid on the concrete blinding to give strength to the structure. 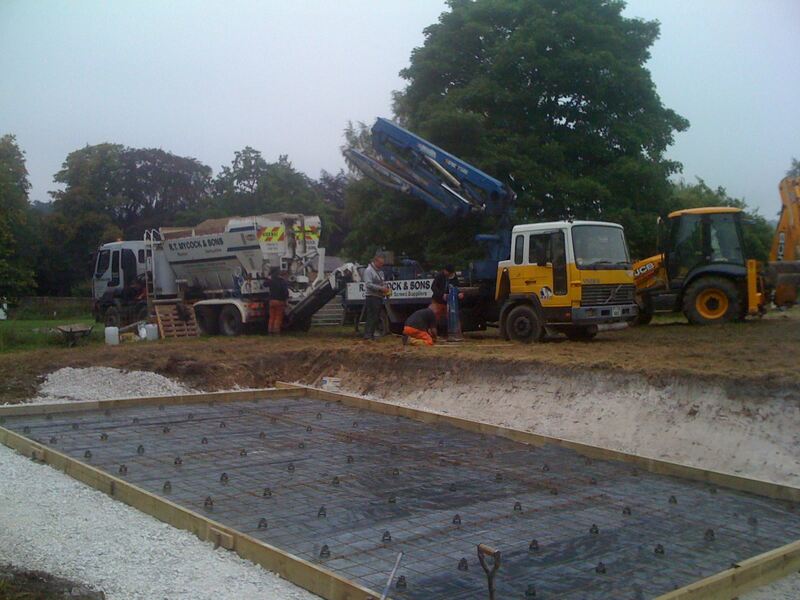 The next phase of this Specialist Concrete Installation required Pumped Concrete to be laid over the mesh. 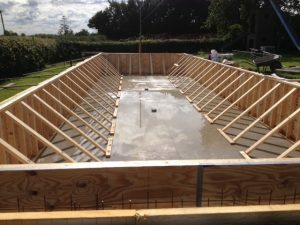 This created the floor level from which ‘shuttering’ was constructed to form the concrete sides of the pool. 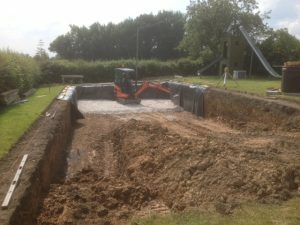 Recently Alan Bailey Groundworks completed an excavation to create a Swimming Pool in Derbyshire. 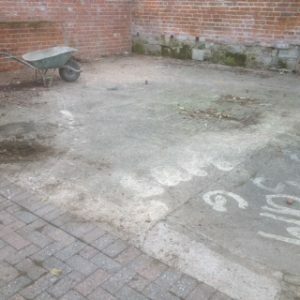 An existing concrete base was broken up using a Hydraulic Breaker. 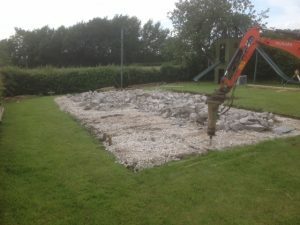 The rubble was then removed using our mini digger and dumpers. 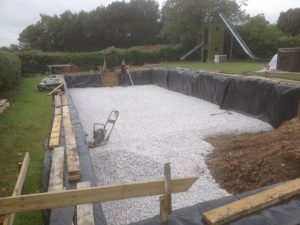 Once the site was cleared the pool dimensions were marked out ready for excavation. 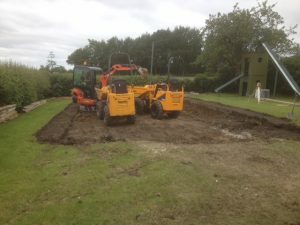 Upon completion of excavation, a layer of drainage stone was compacted. 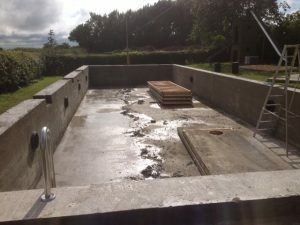 The pool base was then blinded with concrete for a level working area. 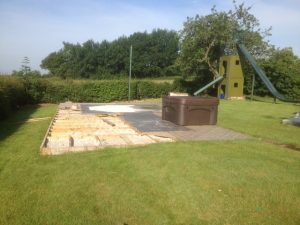 Swimming Pool construction continued……. 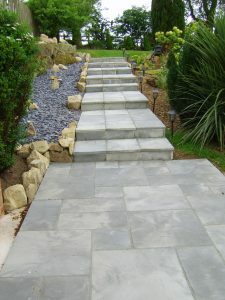 An addition of garden steps, using Bradstone grey paving slabs has made an easy access to the elevated lawn area. 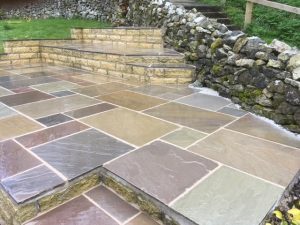 To complete the attractive addition of the new garden steps created using Bradstone Silver Grey Paving Slabs, yellow sandstone rockery stones and blue slate have been used to compliment the project. 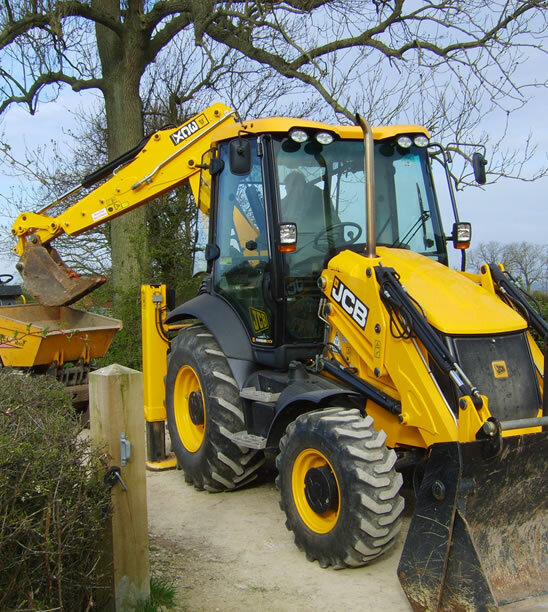 The customer is now able to easily utilise the upper lever of their garden. 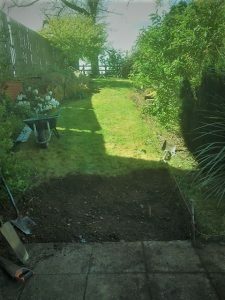 The solar garden path lighting can be purchased from numerous retailers including Costco, Argos, Amazon, John Lewis, Homebase………. 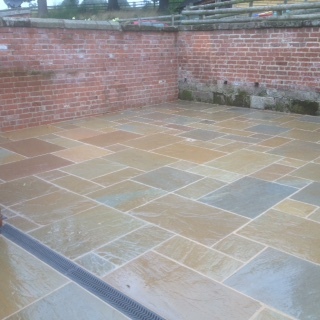 Yet another superb transformation using Indian Sandstone Paving. 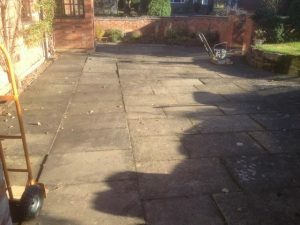 The existing unstable old concrete slabs were removed to create a beautiful Natural Indian Stone Patio. 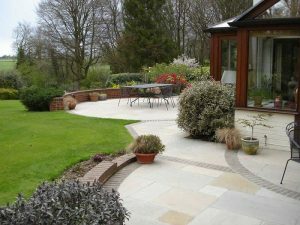 Laid correctly, this impressive addition to the exterior landscape of the house will be enjoyed for years. 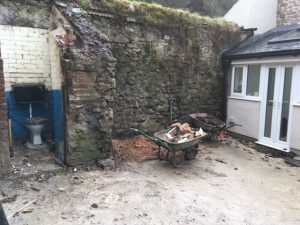 The ‘Before’ and ‘After’ images of this project – Could your property be enhanced by this transformation? 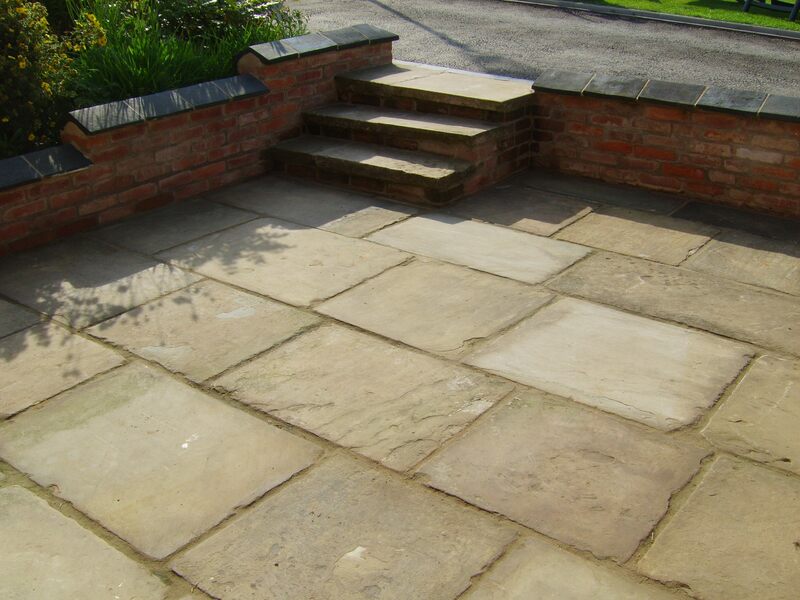 Indian sandstone has become increasingly popular in the UK in recent years as a domestic patio or driveway product. 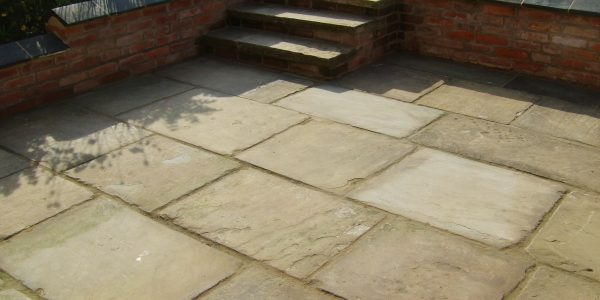 Due to its strength and versatility coupled with its natural beauty, it is often the chosen product with many homeowners to produce functional yet stylish spaces for family and social use. 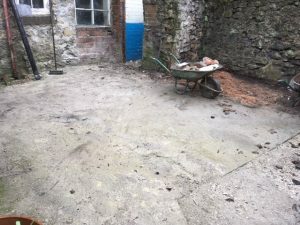 The existing concrete was removed and the site was brought up to level with road stone. 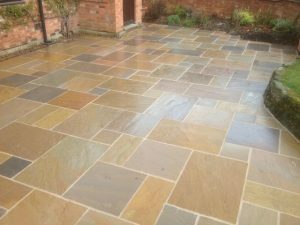 The Indian Stone was laid on a bed of washed sand and cement mix. 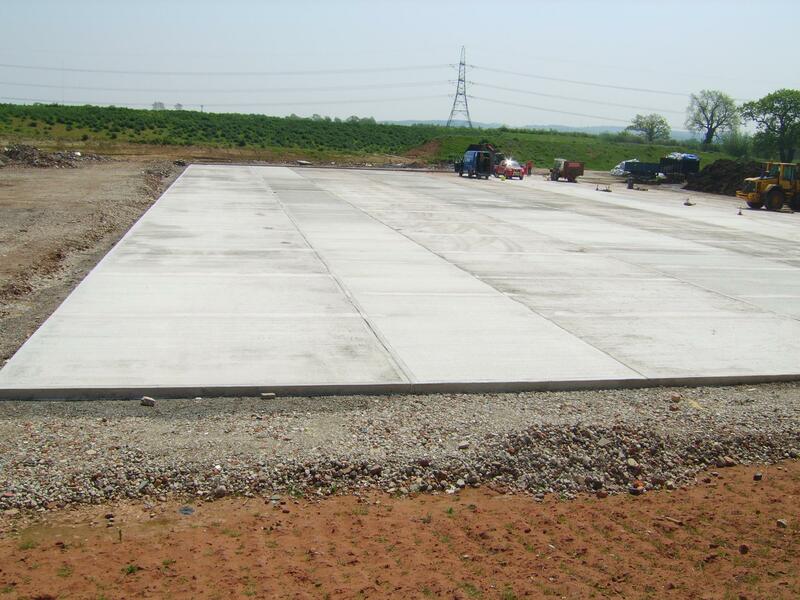 Once the slabs have been laid the complete area is pointed with Geofix. 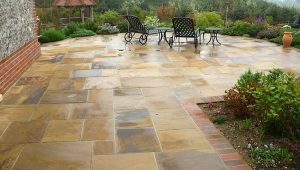 This picture shows the slabs after rainfall which enhances their natural beautiful colours.